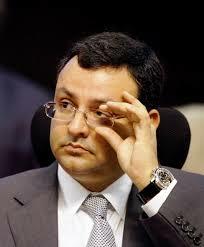 When Tata Steel this month announced a non-cash write-down of Rs 1,577 crore (Rs 15.77 billion) for its Benga (Mozambique) project investment, the total write-offs made by Cyrus Mistry since taking charge as Tata Sons chairman reached Rs 13,201 crore ($2.2 billion). These have primarily been non-cash write-downs of goodwill in balance sheets of four companies. In May, soda-ash maker Tata Chemicals had announced a Rs 924-crore (Rs 9.24 billion) write-down for its African operations through Tata Chemicals Magadi. The write-downs made this year by both Tata Steel and Tata Chemicals were the second in consecutive financial years for them. In over two decades of his leadership, Ratan Tata, from whom Mistry took over the reins of the group in December 2012, invested about $16 billion in global acquisitions meant to add muscle to group companies at a time when India was seeing an onslaught of multinational firms. These investments include marquee acquisitions of Tetley ($450 million), Jaguar-Land Rover ($2.3 billion) and Corus ($12.8 billion). The idea was to acquire the strength of global scale and technology to take the group forward. But 14 per cent of the investments made by Ratan Tata now seem to have gone awry. “There was a time when everybody wanted to acquire resources. Some of these turned out to be good; some did not,” says Dhananjay Sinha, head of research & strategy at Emkay Global Financial Services, a domestic brokerage. But the real pain for the group came from Tata Steel’s $12.8-billion acquisition of Corus in 2007. The Rs 8,356 crore ($1.6-billion) impairment that Tata Steel took on Corus in May last year, the largest write-down by Mistry so far, has also raised questions if the company went overboard in its pursuit to be one of the world’s biggest steel makers. What is more important is that the write-down came six years after the acquisition, only after a new chairman took charge, even as it was known for at least four years that the deal had turned bad. “Management teams of very few Indian companies are comfortable allowing such big write-downs,” says Ajay Garg, managing director of Equirus Capital, a Mumbai-based investment bank. The write-down announced by Tata Chemicals last year was for its European operations. The company had acquired the UK-based soda ash maker Brunner Mond for Rs 508 crore (Rs 5.08 billion) in December 2005. In May 2013, it wrote down Rs 483.83 crore (Rs 4.83 billion), including goodwill and assets. Another of the group’s significant impairments, for Indian Hotels Company (IHC), also came last financial year. IHC, which runs the Taj brand of luxury hotels, had picked up costly assets in key markets like the US to expand its footprint in source markets. But its attempt to acquire Bermuda-based Orient Express Hotels hit the company the most. Through its wholly owned subsidiary, Samsara Properties, IHC had acquired a 10.01 per cent stake in Orient-Express for $211.28 million in September 2007. After this, the company made multiple attempts to pursue strategic discussions but the NYSE-listed Orient-Express rebuffed those. Last year, it finally dropped its formal bid and, in three attempts, wrote down a total of Rs 1,160 crore (Rs 11.6 billion), citing net worth erosion due to a slowdown in global markets. Tata Motors is another group company that has acknowledged having incurred loss in its foreign acquisitions. The company, which had acquired a 21 per cent stake in Spanish bus maker Hispano Motors in 2005, increased its stake to acquire a 100 per cent control in 2009. Due to a steep decline in Europe’s bus market, Tata Motors sank Rs 700 crore (Rs 7 billion) in its acquisition. The amount has now been recognised as unrecoverable and written down. “When a company takes the inorganic-growth route, it is a given that some assets will succeed and some will fail,” says Jacob Mathew, managing director of Mape Advisory, a domestic investment bank.